This image was created using Coomassie staining solution (G 250) on paper. The resulting images were composed digitally. 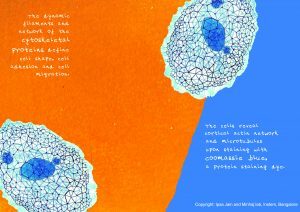 The image draws inspiration from the image of Coomassie blue stained fibroblast cell by Colin Smith published in Molecular biology of the Cell (Garland Publishers). Coomassie staining solution is regularly used in laboratories to stain proteins. 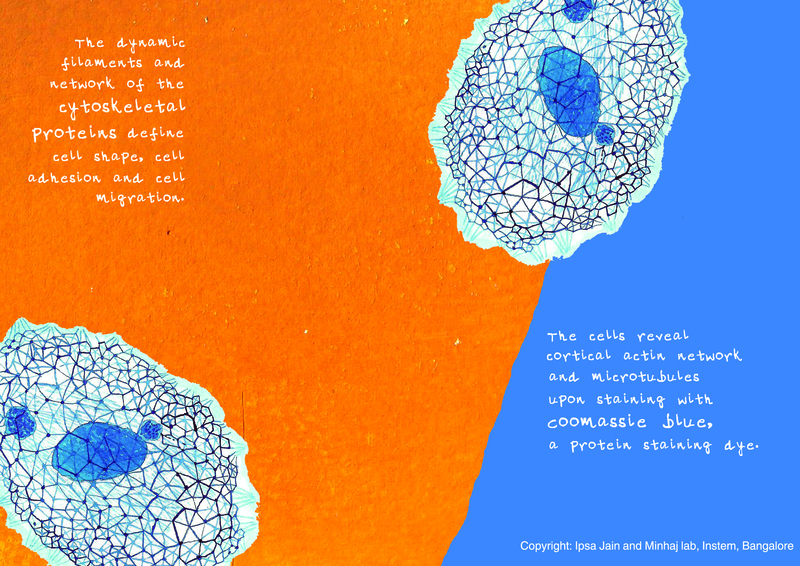 This work by Ipsa Jain and Minhaj S. laboratory, Instem, Bangalore is licensed under a Creative Commons Attribution-NonCommercial 4.0 International License.